See how new technology could help you interact with the people who live next door. The web has connected people around the globe, yet it’s also played a role in disconnecting people from those living right next door. There is a growing trend of separation, with one-third of Americans saying they’ve never interacted with their neighbors. Technology could shift these trends, though, by bringing back the tradition of befriending and trusting your neighbor. 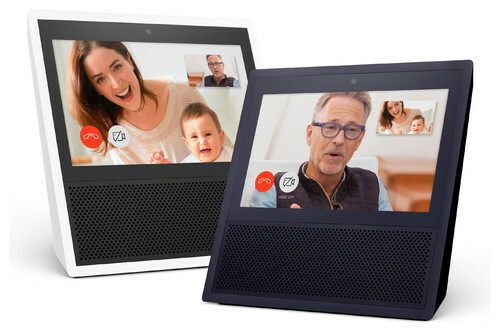 The Echo Show is a variation of Amazon’s Echo device. 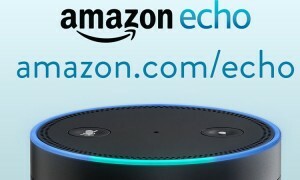 Echo is a smart, voice-enabled wireless speaker that features a personal assistant named Alexa. Users can ask Alexa questions about the weather, events or any other topic. 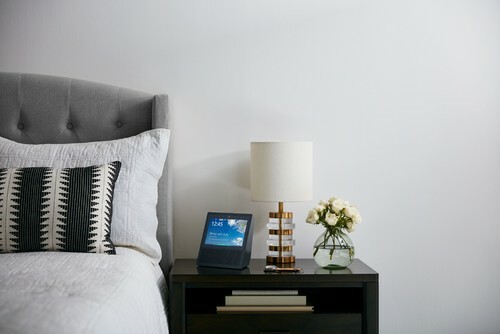 Alexa also works by setting alarms and reminders, as well as providing a slew of other services. Echo Show adds to Echo’s initial offerings by including an LCD screen and front-facing camera. 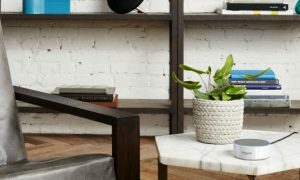 Its design mimics the countertop TV sets that are still found in some kitchens, which hints at Amazon’s intended goal for the product. One of Show’s unique features is Drop In. This feature lets people chat and visit with one another instantly whenever they want to. Only those approved, however, can drop in. If you’re unavailable, friends can leave a voice message for you to listen to later. You can also chat without using the front camera. 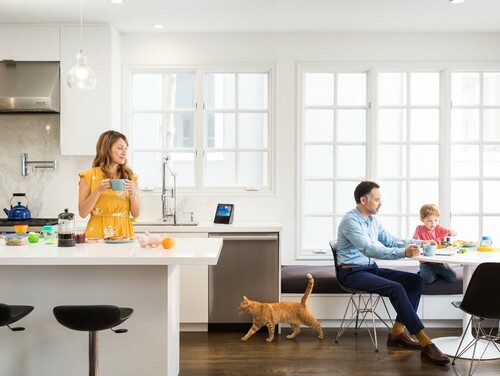 Amazon’s promotion of the Echo Show and even the naming of Drop In indicates the company’s intention to re-create the openness among neighbors and families that marked the childhoods of baby boomers. Staying connected through technology isn’t a new concept. Just consider phones. Now friends and families across the country, and even the world, use social media sites such as Facebook or Twitter to keep in touch. Information on social media, however, can be inaccuate. A study in the United Kingdom found 75 percent of polled users lied on their social media profiles, with only 18 percent considering their profiles to be an accurate representation of themselves. In a separate study commissioned by smartphone maker HTC, two-thirds of users admitted to posting pictures that made them appear more adventurous or outgoing to their social media family. 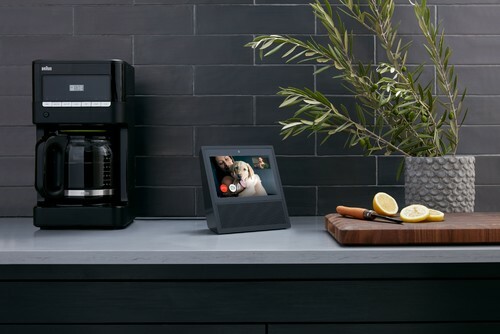 Because Echo Show doesn’t go through the filter of social media but instead provides a real-time view of your kitchen (or wherever you place your device), it lets your family or friends see you in your everyday life, without hashtags or filters. It’s you — cleaning the counter, putting away groceries or preparing dinner while having a conversation. The Echo Show could bring neighbors together because it makes hands-free video communication so easy. Children play a significant role in Echo Show’s potential. They go to school and ride the bus with other kids from the neighborhood, forming friendships that continue even after school. The idea is that elementary or middle school-age kids will want to talk to their friends after school. 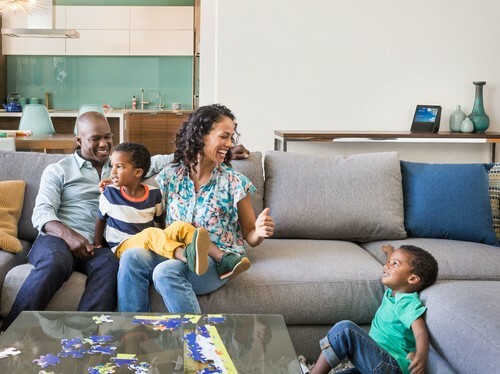 Echo Show provides that option, but in a family gathering space that inevitably leads to communication between neighborhood parents. Conversations then extend outside of Echo Show and to school events, play dates and get-togethers. It’s a gradual progress, but one that could bring significant change to neighborhoods across the U.S. as people build friendships with those who live right next door. While online relationships can be meaningful, relationships with your neighbors have been proven to offer health benefits. Whether the Echo Show will impact neighborhood relationships is yet to be seen, but it does have the potential to change neighborhoods and foster a certain closeness that hasn’t been seen since the 1970s. That seems to be one of Amazon’s goals. Nextdoor is a website that works like a private social network just for your neighborhood. Neighbors use it to do everything from alerting others about a break-in to finding lost pets. With less focus on messaging and video chatting, Meetup is a great service for finding people near you who share your hobbies and interests. It’s a good way to find out about book clubs, hiking groups and pretty much anything else you can imagine. What better way to make new neighbor friends than by enjoying your hobbies together? Your turn: Would you let your neighbors and family “drop in” on you with the Echo Show?